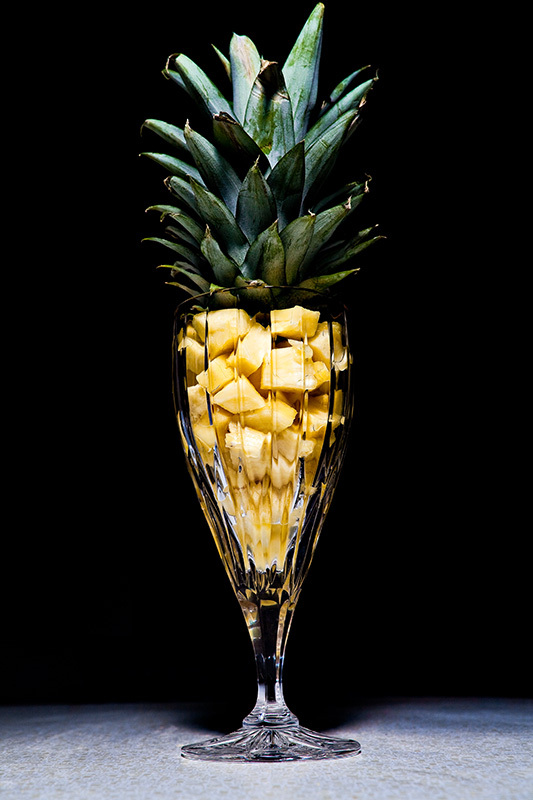 Tonight I took a few shots of an uncut pineapple but I didn’t like the way that they came out so I put some cut pineapple in this crystal glass and topped it with the top of a pineapple. Camera settings are below. Great photo Matt! Very creative! And there’s nothing quite like fresh pineapple!